High-end 360° projection solution for the exhibition. Extraordinary project for IDEX 2019, where Polidomes projection dome screen was literally built into the exhibition environment, so no one could even assume that it’s a mobile solution! To create a highlight of the exhibition Build UP agency used Polidomes P100 Projection Dome with inside projection screen. 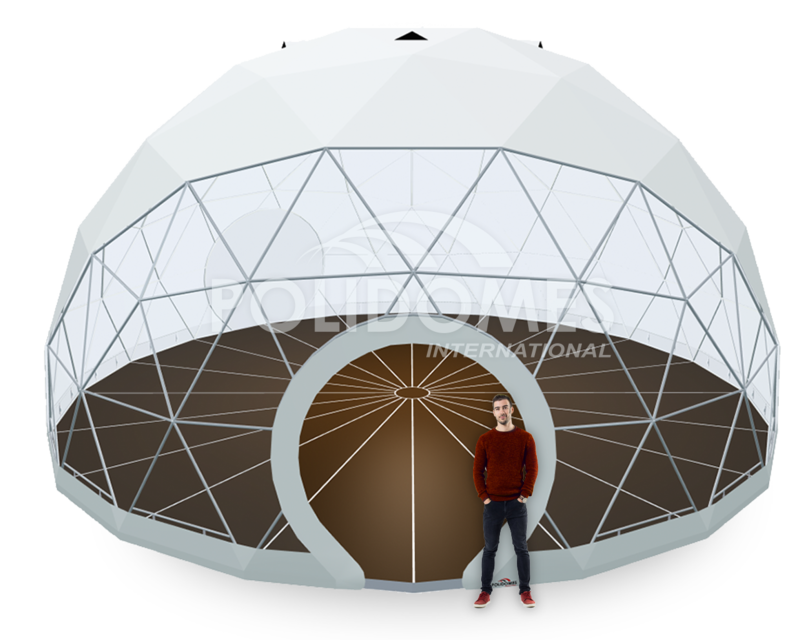 This projection liner hides the steel frame of the dome and allows a completely clear video projection over this second skin showing the most significant immersive effect. But the main trick about this project at Abu Dhabi exhibition that the finishing inside the Polidome 110 looked just as it was an ordinary planetarium. Walls built inside the tent hidden the projectors struts, leaving just a completely smooth video projection screen. Thanks to using the Full HD projectors installed around the entire circumference of the geodesic dome visitors can enjoy the impressive 4K resolution video on the dome. IDEX held in Abu Dhabi continues to attract a growing wealth of international decision-makers from within the defense industry, alongside key representatives from governments, armed forces and the key military personnel. 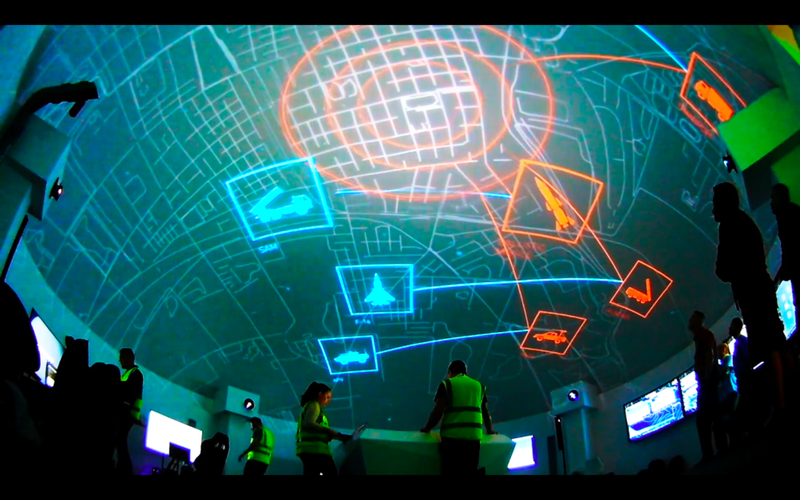 Projections on the dome are exceptionally attractive and powerful promotional tools that stir the magination, engage audiences, inspire emotions and offer a remarkable, unique experience. We offer a full range of Polidomes projection spaces – from 6 to 50 meters in diameter, accommodating even more than 2000 people! Contact us today to take your event to the higher level!